We have a really exciting week to look forward to since the new slot South Park Reel Chaos is about to be launched. This is the sequel to the popular slot South Park from the game producer Netent. Lots of free bonuses is going to be given away during the realese so keep your eyes opened! But first we have another great promotion for all out visitors. During Monday and Tuesday the popular online casino Thrills are running a promotion where all players can get free spins! To get free spins during this day you just have to make a deposit to the casino. 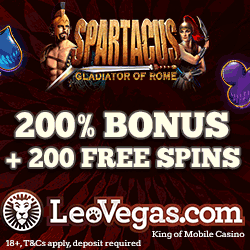 Any deposit will entitle you 25 free spins that can be used on Starburst. Your free rounds will be paid out to your account the following day. 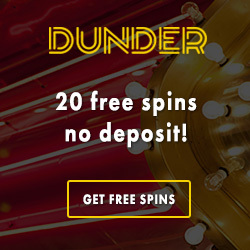 As always all spins that are given away at this casino are totally free from wagering requirements! So no wager is needed for you to be able to make a withdrawl out of the winnings that are generated from your spins. The offer is valid one time per player during the campaign and of course all new players can combined this offer with Thrills' welcome offer where you have the chance to get additional free rounds! Get your free rounds at Thrills! If you're not a player at Thrills yet you have the chance to get free spins with no deposit required. 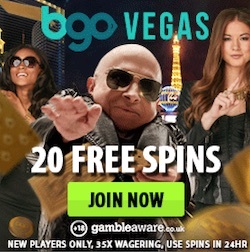 As a selected partner Freebonus.se can give you exclusive free spins with no deposit needed. To get these spins you only have to go to Thrills using our bonuslinks and then create a new account. When you have signed up you will get 10 free rounds on Starburst. These free rounds are also free from wagering requirement. If you enjoy Thrills and want to make a deposit you will get additional 100 spins on Starburst! These spins will come into your account the following day by 1 pm. On top of the spins Thrills will also give you an amazing welcome bonus. 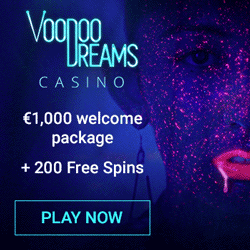 This casino bonus will give you 100% extra to play with up to €100. If you later on make a second deposit you will get another bonus of 50% up to €100. Remember that this welcome offer is exclusive so you won't get any spins if you go directly to Thrills and sign up. As a player you will also be entitled all up coming offers! For example, on Thusday all depositing players will get free spins on the new slot South Park Reel Chaos!